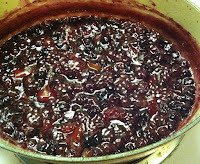 Chutney & Marmalade - Leah's recipes - Canning Homemade! On Thursday night I went over to Leah's house to get tips in alternatives to white sugar. We had a lot of fun chatting about our personal experiences and cooking up two batches of what Leah loves best... Spice! I was intrigued by all the spices she has and it was truly a night of experimenting with flavors. The two recipes were her base recipes and we altered some of the measurements of spices to add some different flavors. 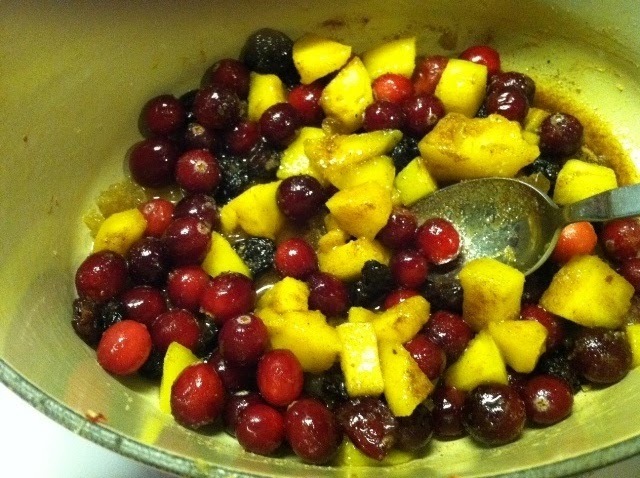 Our first recipe was a Cranberry Mango Chutney. We used both fruits from the freezer but the flavors were still very strong. Here is the recipe. Combine all ingredients in a dutch oven and simmer until most of the liquid has been cooked down. Your cranberries should pop and you can add a bit of apple juice if the liquid cooks down too fast before the fruit is tender. Ladle into jars and process 10 minutes in water bath. Our second recipe we really got creative. I brought over some blueberries so that I could see what spice Leah had in mind. We had originally talked about cayenne, but we went a totally different route. Here is the final recipe. 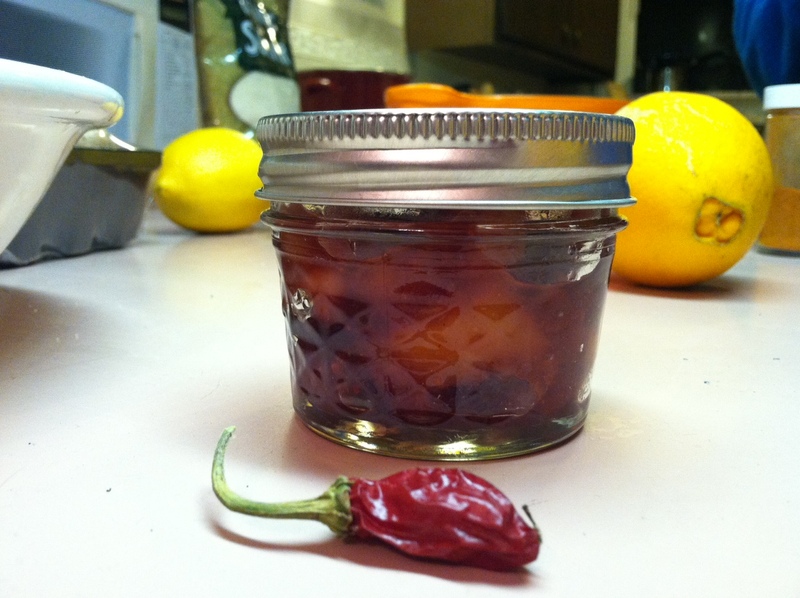 I had an opportunity on friday to eat some of my little jar I took home. It was really good with a hint of the cardamom, but the great flavor of the ginger worked really well with the blueberries and citrus. Put slices of orange and lime (with rind) into Dutch oven and add 1 cup water. Cook for 15 minutes. 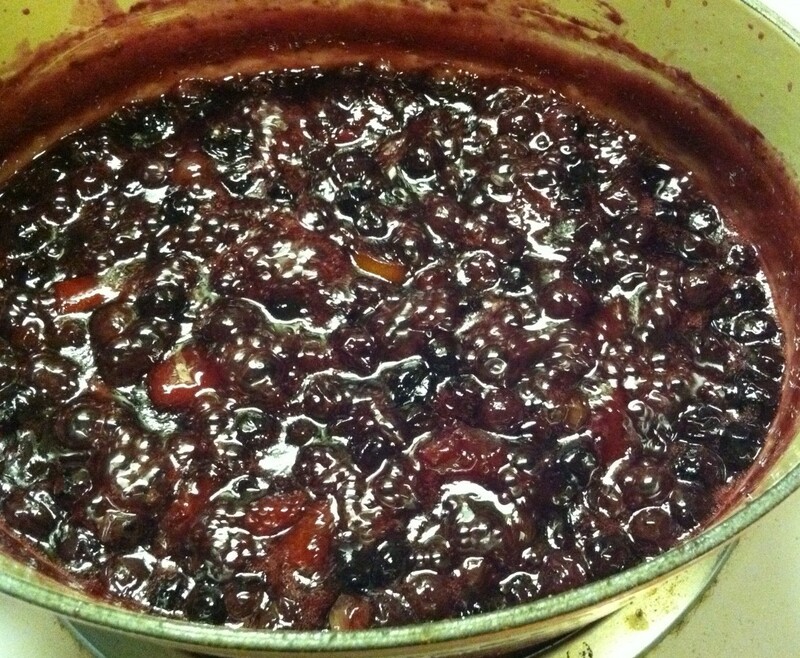 Add crystallized ginger, blueberries, pulsed orange, and spices. Cook for 15-20 minutes. Add sugar and cook for about 15-18 minutes until 220 degrees. Makes 4 half pints.